This looks very promising. Seems like it all went quiet with your other enquiries. Lucky to find the car, the drive shaft design and a solution in steel all at the same time! If you hadn't gone looking you wouldn't have known. 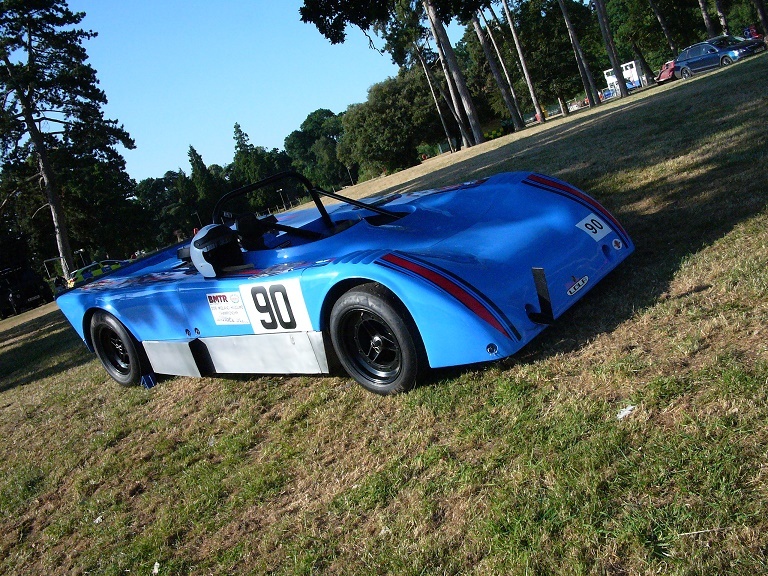 At Prescott hill climb this weekend for the penultimate round of the Championship. Big class and if all goes to history/plan will come second in class. Great weather, and an even better frame of mind today. 1st practice gave a start of 2.24 and a time of 47.11. Encouraging, car went well, driver changed gear correctly and got a nice clean run close to the PB. 2nd practice was nicer, 2.19 and 46.52, whoo! a new PB! Car was great, few operator errors and sitting 2nd in class after practice. The Metro is in mechanical trouble, the NGV8 is with an unhappy driver, Alan in the EVO Mini is ballistic (1.88/43.29), so a typical hill climb group. Spanners crossed for tomorrow and the weather is looking good. Hope I have not Peaked-in-Practice. Enjoy today and hope all goes well. Thanks Andy, just got back from Prescott. Great day for many including me! We had the luxury of a sunday practice run @ 2.28/ 46.76 not too shabby, in the 46's and not far off the PB of yesterday. 1st race run, and drove the car too hard resulting in a disappointing 2.21/ 46.99. Came into the start of the tricky Esses FAR to slow going from 3rd to 4th instead of going 3rd to 2nd...Operator error to the fore! 2.15 / 46.29 sec finish and a new PB..Ha! starting to get the hang of this little car. So, second in class on both rounds, and confirmation from the organisers that I have won the Class in the Midland Hillclimb Championship, 2018. This will be my 3rd year with this result, so mighty pleased, chuffed etc., my name on the big trophy for the third time in a row, far more than I ever dreamt 8 years ago. Just one more meeting 22/23 Sept at my fav hill, Loton Park and the end of the hill climb season for 2018. Well done Graham. I've watched quite a lot from Loton Park on youtube. excellent result Graham, all your hard work is paying off. Those early years sorting the gear change and a few other things do seem a bit distant now! Thought you all would like to see how the hill time splits down betwwen the Lola and Allan's EVO Mini. The hills are all split into sections and the car is clocked to 1/100 sec at each point and some speeds logged too. This makes for a log of the whole run and you can compare where things went 'wrong'. You have to see his '1.18' sec start to appreciate the traction of 4x4 and about 400 bhp! Maybe 2019 will yield a 45 sec bracket run? The finals for the final Championship hill climb have arrived for my Club's track, Loton Park. My class has the usual people, Allan in the Mini, the two Metro drivers and me. Plan is to come second as Allan is uncatchable anywhere as long as he does not break. In the sub 2 litre class the Norma is back and the Maguire Mini and Martin's demon Sylva Riot, who I can sometimes beat, but not often! Pig roast and a band on the usually chilly Sat evening and the season will be over! 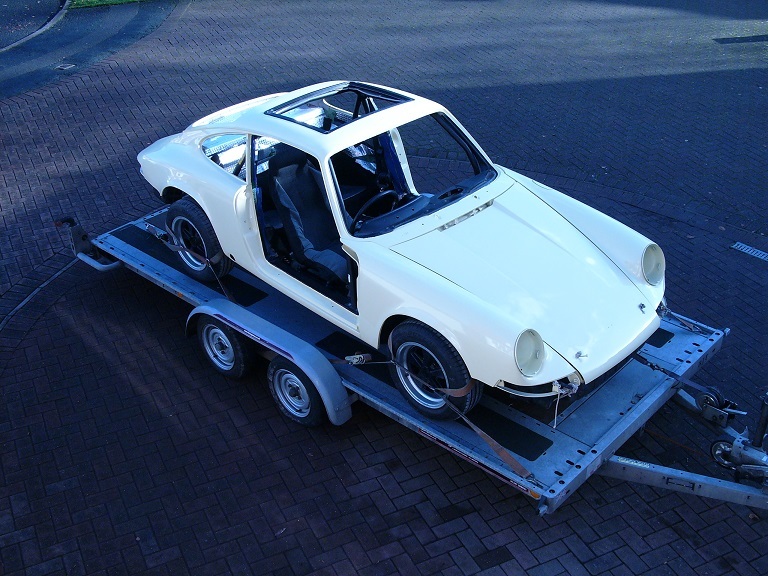 The Lola will then go into secure storage for the winter while I do my old 911, going in for a self prepared re-paint after 28 years wearing my DIY paint job. Poor thing needs a good fresh coat of professional paint. Have to say there is a hint of bordom creeping in with the Lola, 'the same old, same old' things, not sure what to do about that, but could just be the end-of-season blues. It is said absence makes the heart grow fonder, so with it away for 4 months the sight of it next year will say it all. Not the way I wanted to finish the year, but had to scratch my entry to Loton. My mother was admitted to hospital and that would turn everything upside down, so cancelled. Every dark cloud has a silver lining...at least I don't have to drive the hill in the wet today, and very very wet tomorrow. Thus the season is over! The Lola goes into 4 months storage on Wed so I can do the old 911 in the width of a double garage, there is a lot to do. We won the Class in the Championship for the 3rd time running, so tuxedo needs to be dusted off in December for the do at the Chateaux Impney, all very glamorous. The car has been great, no reliability issues, and drives so well thanks to the perfect chassis set-up by McClurg Motorsport. Lots of hill climb cars carry his discreet sticker nowadays! Thank you all for your support and interest this year and previous, makes all the difference. Sorry to hear about Mother. Well driven this year on winning the Championship. Hi I found some photos from Harewood Hill Climb in the 60's. Harewood is a really good hill, the track and the venue, if a bit tedious to get there. (from my place). Run it several times but in my hot Impreza on slicks, road driven there and back. It is well used by the Porsche guys today who do it in their droves. Have 'my' trophy on the shelf now, my name 3 times in a row, dead chuffed and beyond my dreams. I'm re-restoring my old 911 now with the Lola in storage as I need the space. 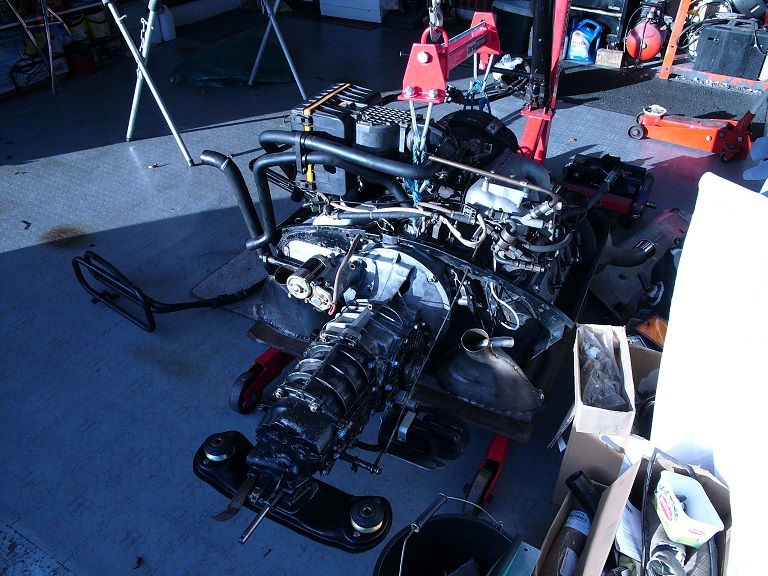 A 911 is very big when you take it apart! While doing some boring work on it my mind has drifted to an engine hike to 3.4 litres, 8,000 rpm still on carbs. Those extra revs would rule out the need to change gears so often, yield about 300bhp and a further 50 lbft. I enjoyed Harewood. Not too far from home. They used to have rally stages in the grounds of the Estate also. My Uncle told me one time while near Harewood just after taking a corner, a herd of sheep were in the middle of the road. That was in a Willment Cortina GT Mk 1 and knowing my Uncle he wouldn't have been hanging about.